Historian Sean McMeekin to visit KU campus on January 28, 2014. 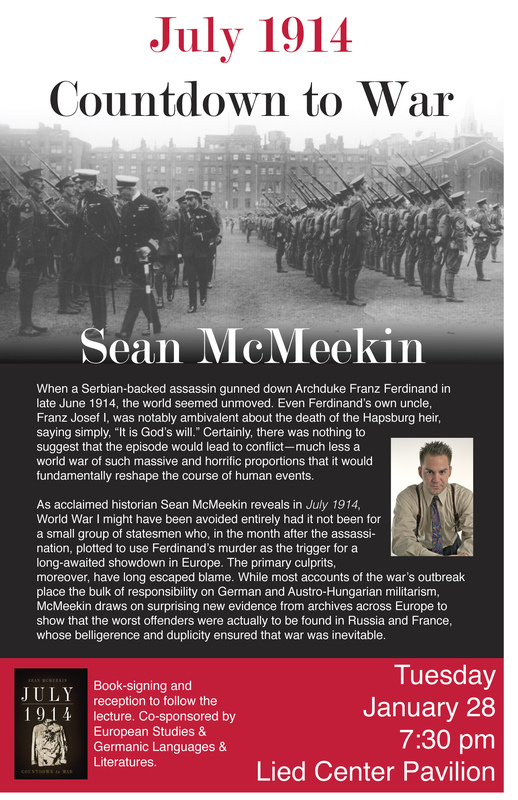 On Tuesday, January 28, 2014, acclaimed historian Sean McMeekin will visit the KU campus to speak about his book, July 1914: Countdown to War. 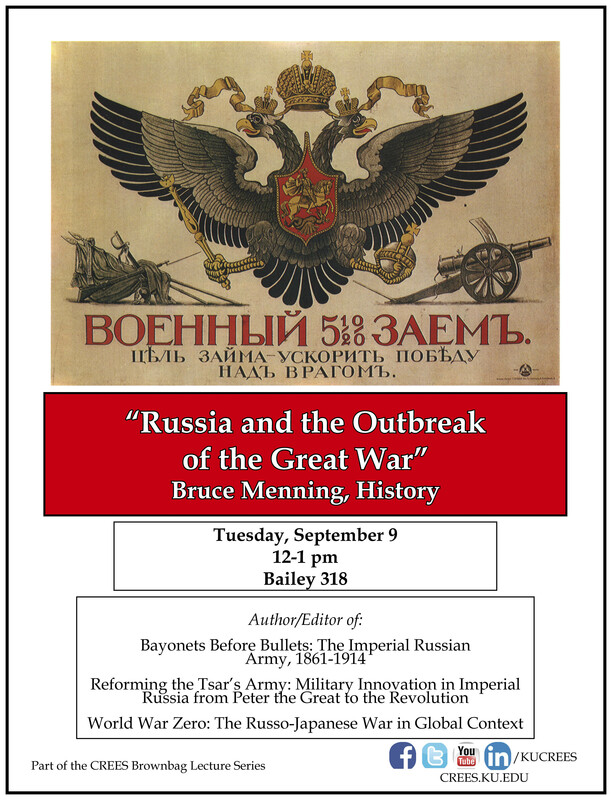 McMeekin will give a Brownbag Lecture at the KU Center for Russian, East European & Eurasian Studies (12-1pm, 318 Bailey Hall) and a Book Talk at the Lied Center Pavilion (Lied Center, 7:30pm). Both events are free and open to the public. When a Serbian-backed assassin gunned down Archduke Franz Ferdinand in late June 1914, the world seemed unmoved. Even Ferdinand’s own uncle, Franz Josef I, was notably ambivalent about the death of the Hapsburg heir, saying simply, “It is God’s will.” Certainly, there was nothing to suggest that the episode would lead to conflict—much less a world war of such massive and horrific proportions that it would fundamentally reshape the course of human events. McMeekin’s book, July 1914: Countdown to War, draws on surprising new evidence from archives across Europe to show that the worst offenders were actually to be found in Russia and France, whose belligerence and duplicity ensured that war was inevitable. This event is part of University of Campus wide commemoration of the World War I Centennial, 2014-2018. The author’s visit is sponsored by the Hall Center for the Humanities and co-sponsored by the KU European Studies Program, Germanic Languages and Literatures Department, and the Center for Russian, East European & Eurasian Studies.